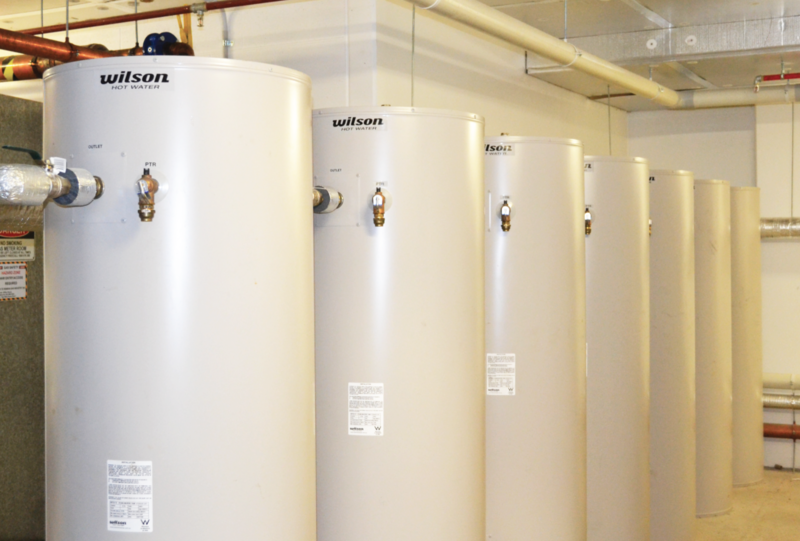 If your old electric hot water heater has failed and your not ready to add solar hot water your home just yet you can purchase a Wilson Solar Ready Tank. The Wilson Solar Ready Tank will work the same as your old electric water heater, but will have the extra flow and return ports added for when you are ready to add solar hot water evacuated tube or flat panels. The tanks are manufactured from stainless steel and fitted with flow/return ports, a temperature probe pocket plus the normal cold inlet and hot outlet with a 3.6kW electric element. Every solar ready tank that carries the Wilson name has a reputation to live up to, one that we have earned for over 85 years of manufacturing in Australia. Stainless Steel has become the material of choice as it offers the benefits of excellent corrosion resistance, strength and durability. For long tank life Wilson use high quality stainless steel and after welding all vessels are pickled to remove scale and discoloration and passivated to ensure a more corrosion resistant surface.